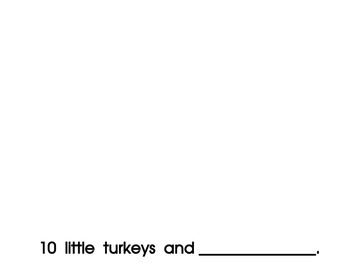 Thanksgiving, turkeys, singing......reading, writing, and drawing all in one. 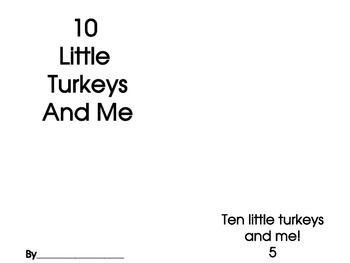 There are two versions of books to make with this 10 Little Turkey activity. The first is an 8 1/2 by 11 size for a whole class book, one sheet per student. The second, an individual student booklet is 6 pages long. It prints two pages to a sheet of paper, so three sheets of paper per student for their booklet. You can do one or both. 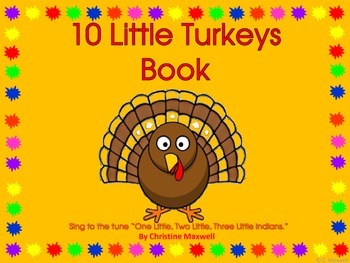 It can be read or sung to "One Little, Two Little, Three Little Indians. 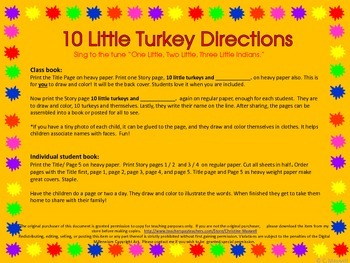 "This can also be used with the 10 Little Turkeys songs and puzzle cards for sale in my store.